2019 Parade home w/140+/-of pristine Gull Lake frontage w/sandy beach. A perfect setting for this custom home designed by Visbeen Architecture, built in this unique private 7 home enclave on Gull Lake. Gull Harbor Pointe has open green space accessible for all residents to use & is surrounded by two private driveways that provide access to each home. 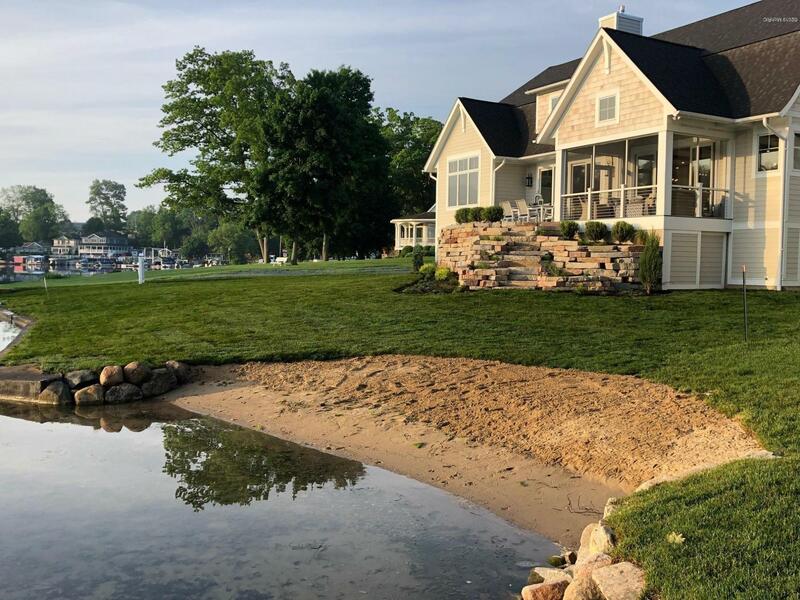 The location is ideal with beautiful views of the Lake & is located within a short walk to a full service marina, golf courses, convenience stores, restaurant and seasonal ice cream shop. Great for entertaining both inside & out this home has over 5, 000 sq ft of living space on 3 levels. The main level includes a spacious owner's suite w/ pocket office, screened in porch, gourmet kitchen w/ Bertazzoni master series appliances & walk-in pantry, dining area with wet bar service including beverage frig. Additional features include sound system, and many custom trim details you've come to expect for an AVB custom home. The dining area with entertainment wet bar including cabinetry, beverage refrigerator, ice maker. There is a split staircase to the second floor creating interest and a very private bedroom suite. The lower level has eleven garden level windows and includes just over 1,300 square feet of finish area including a very nice rec room, bedroom, full bathroom & exterior access to basement storage room. The lake storage area under the screened in porch is perfect for storing all the lake toys; tubes, paddle boards, lawn games & patio furnishings. All this and so much more on the beautiful Gull Lake.